Vines are indigenous to the island of Corsica and there is evidence of their cultivation as early as the 6th century BC. 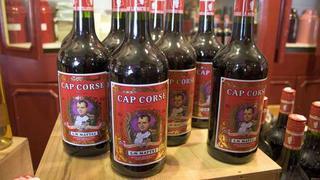 Under Genoese rule in the 16th century, the export of Corsican wine to anywhere other than Genoa was banned, and it found its way on to the tables of Genoese noblemen. Quality gave way to quantity in the 1960s and 70s when French Pied-Noirs, repatriated from Algeria, expanded the vineyards, importing and planting undistinguished, high-yield vine varieties and introducing mechanical harvesting. 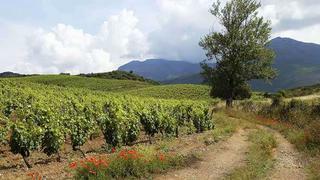 By the 1980s, however, with the European wine lake brimming, EU subsidies determined a restructuring of Corsican vineyards with highly productive varieties replaced by nobler vines, both Corsican and imported. Subsequently there has been a dramatic drop in the amount of basic table wine produced, and the quality is on the increase. Two-thirds of the wine now produced is vin de pays de l’Île de Beauté, and most of the rest is Appellation d’Origine Contrôlée, the highest level that French wine can attain. Corsica produces many different types and styles of wine – about a third is rosé and 10 per cent white, while reds predominate. 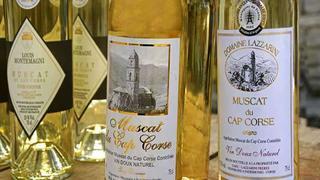 Muscat du Cap Corse is a rare, sweet, strong vin doux natural from the northern tip of the island. Amongst the indigenous Corsican grape varieties grown the most significant are Sciaccarello and Nielluccio (identical to Italy’s Sangiovese), while Vermentino – known locally as Malvoisie – is regarded as the island’s own white grape, and Codivarta is another uniquely Corsican white grape grown on Cap Corse. The appellations that exist include Patrimonio, Ajaccio, Muscat de Cap Corse and Vin de Corse with its sub-appellations of Couteaux du Cap Corse, Calvi, Sartène, Figari and Porto Vecchio. 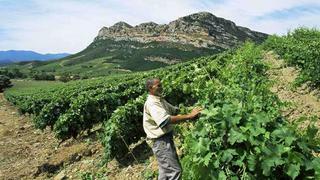 Most Corsican vineyards are family-owned estates, whose vines are tended by family members and whose winemakers are passionately insular and not at all market driven, with the result that very little Corsican wine is exported. When visiting the vineyards for tastings it would be wise to call ahead to schedule a visit lest you arrive to find them out in their vineyards and too busy to talk to you. Your experience will be enriched if you do speak a smattering of French or Italian, and as there are no tasting fees, it would be polite to buy a bottle or two – or leave a tip – if the winemaker has opened up several for you to taste. This small region on the north coast occupies a natural amphitheatre between Bastia and Saint Florent and produces some of Corsica’s best-known wines. Considered by many to be the finest wine region on the island it was the first to gain Appellation Contrôlée status in 1968. In its favour is the microclimate created by the sea breezes, which help the grapes to ripen slowly and mature to perfection. 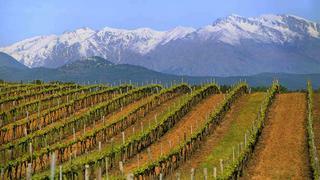 The 33 wine estates around Patrimonio produce powerful, warm reds, fruity rosés and complex whites. One of the oldest estates it has a reputation for big, juicy reds and exceptional muscats. an estate which produces some of Corsica’s finest wines, both red and white, and led the way in replanting indigenous Corsican grapes and introducing organic viticulture. A vineyard which focuses on Corsican grape varieties – Nielluccio, Vermentino and Muscat à Petits Grains – and which has its own underground cellar for ageing bottles and barrels. An estate of parcellated vineyards, whose wines are enhanced by the different soil varieties on which the Nielluccio, Vermentino and Muscat à Petits Grains vines are grown. Over 20 wines are available for tasting in a setting that doubles as an art exhibition space. This large zone on the west coast has some of Corsica’s highest vineyards and produces mainly full, harmonious reds, which age well, and a distinctive rosé from the native Sciaccarello, the star grape variety of the appellation, and aromatic floral whites made primarily from Vermentino. First planted in the 16th century, this vineyard was restructured in 1965 by the Comte de Poix, and now produces from Sciaccarello grapes rich, complex, aromatic reds, with notes of almond, blueberry and balsamic, delicately sweet rosés and floral whites from 100 per cent Vermentino. A vineyard worth visiting for its setting alone, Clos D’Alzeto is the highest on the island with sweeping views of mountain and sea. 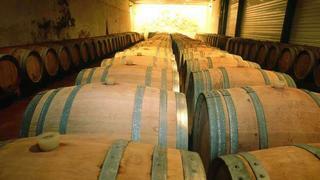 It has been in the same family since 1820, but has one of the most modern cellars on the island. Its most notable red is a savoury, peppery blend of Sciaccarello and Nielluccio called Tradition and in exceptional years they produce a red called Prestige. In addition to a Blanc de Blanc Vermentino, the winery produces a late harvest sweet version called Le Blanc Doux, which is only available from the estate shop. 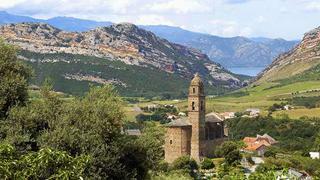 The northerly ’finger’ of the island, Cap Corse was one of the main wine regions as early as the 11th century when its monasteries tended and harvested the vineyards. The area is renowned for its sweet Muscat and Rappu (a sweet muscat-style red wine made from the Aleatico vine variety). Muscat du Cap Corse vineyards are planted in narrow, steep terraces, and the hillsides produce reds, which age well, and some of Corsica’s best dry white wines. An old vineyard, established in 1850 by Dominique Nicrosi and replanted by his grandsons in 1959, its focus is on traditional Corsican grape varieties, producing one of Corsica’s best dry whites from Vermentino, as well as reds from Nielluccio, Sciaccarello and Grenache, Muscat from Muscat à Petits Grains and Rappu from a small parcel of Aleatico. Call ahead for an appointment. Near the village of Morsiglia, another very old vineyard, established in 1768, which maintains traditional methods of wine-making, including drying the grapes on roofing stones, and unusually exports most of its wine – sweet Muscats, reds, rosés and dry whites which have been structured by the coarse soils and sea air. Call ahead for an appointment. The southernmost wine region is characterised by a true Mediterranean climate – hot sun, occasionally violent winds and intermittent drought – and a wide variation of soil types. It is also a region notable for its experimentation in biodynamic viticulture, winemaking techniques and barrel aging. A relatively young vineyard known for its outstanding whites – a Vermentino and a Bianco Gentile. Its red is a Nielluccio and Syrah blend, redolent of the maquis, while its aromatic rosé is produced from Sciaccarello grapes. 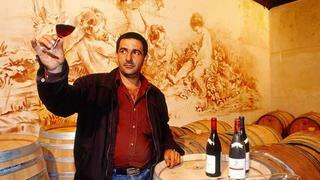 Winemaker Yves Canarelli has earned himself a reputation in Corsica and beyond. Visits by appointment only. This sub-appellation region is centred around the beautiful village of Sartène, and with a climate and soils similar to Ajaccio, produces comparable wines from principal red grape varieties of Nielluccio, Sciaccarello and Grenache and principle white grape varieties of Vermentino and Ugni Blanc. This 70 hectare estate is located close to the picturesque 13th century Genoese bridge depicted on its wine labels. Using traditional and biodynamic methods it produces wines from the native grape varieties – Nielluccio, Sciaccarello and Vermentino. Its reds are punchy and spicy, its whites sharp and aromatic and its rosé aromatic. A Vassilia vintage, primarily based on Nielluccio and aged in oak, is complex with notes of maquis, vanilla and pepper. The southeastern coastal region located around the city of Porto Vecchio is a picturesque area of small coves fringed by umbrella pines, pink-walled medieval towns and vineyards stretching up the hillsides. It is prone to hot, dry summers and occasionally strong winds and has a mixed soil of iron-rich granite and silica. Elegant rounded reds, fine aromatic rosés, and fruity, dry whites are produced from the principal grape varieties of Nielluccio, Sciaccarello and Vermentino, supported by secondaries Cinsault, Mourvèdre, Syrah and Barbarossa for the reds and Ugni Blanc for the whites. An estate established by octagenarian Christian Imbert whose zeal for Corsican wines led to his creation of the winemakers association UVA Corsica, which champions traditional Corsican grape varieties and traditional growing and winemaking techniques.